The Mission Palms is near a beautiful golf course, the Phoenix Zoo, Arizona Science Center, F1 Race Factory, The Goldfield Ghost Town, baseball and softball fields. There is also Tempe Beach Park nearby.Picture yourself walking through the desert scenery. The hot pink bougainvillea, flowering oleander an yellow daisies are breathtaking. The hotel has four floors with 303 rooms available. There is a pool on the roof and a pool side bar. 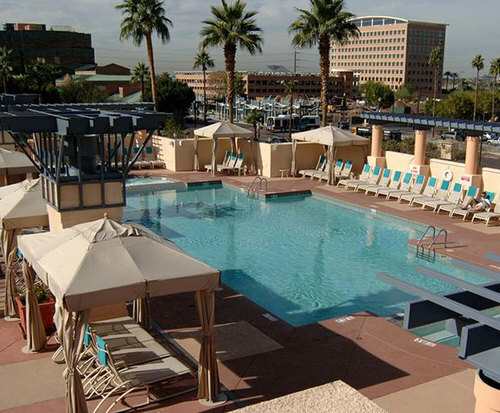 The rooms have beautiful views of the Arizona desert which includes nearby mountains and flowering cactus. 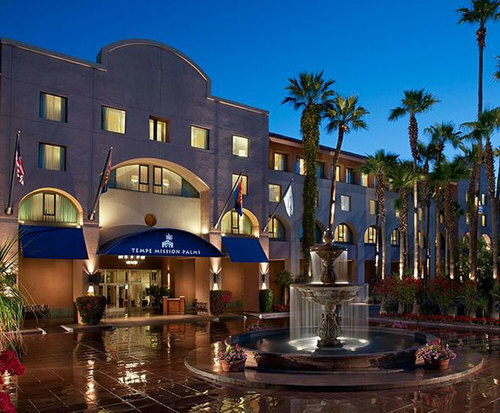 This hotel is featured as the meeting place for the Desert Dreams Romance Writers of America conference in 2014. There will be hundreds of famous and not yet famous authors to see. It will be a spectacular event in April and on the last day open to the public for autographing of books. The Mission Palms is a stunning place to stay. 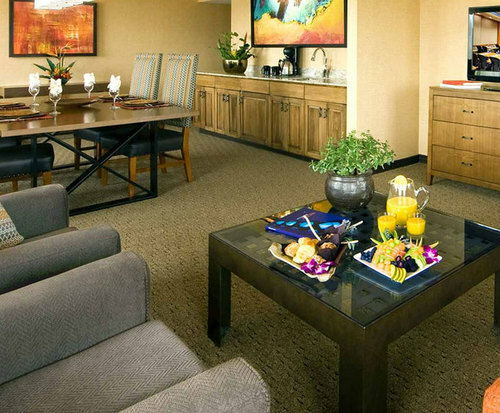 Is comfortable amenities will make your stay a happy one.